- Compatible with Apple Watch all models (Apple Watch Series 3, Series 2, Series 1). 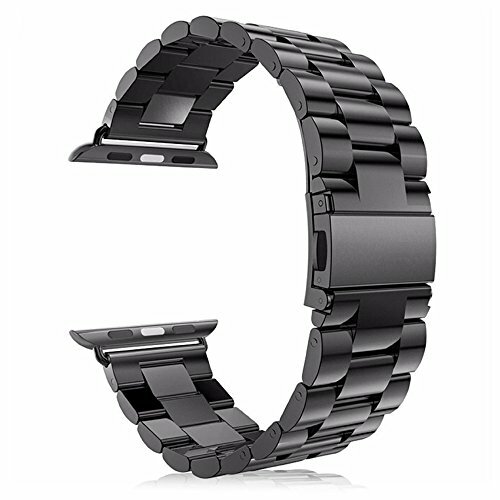 - Top stainless steel material, unique double button folding clasp design. Best partner for your precious watch. - Perfectly adjust to your wrist. Easy to install or remove. - 24 hours customer service. Please kindly contact us, we will response within 24 hours to solve the problems and make you satisfied. - If the watch band breaks down within quality guarantee period we will provide a new band for free. Just contact us. If you have any questions about this product by Leefrei, contact us by completing and submitting the form below. If you are looking for a specif part number, please include it with your message.